In 1949, five young mothers saw a need for a dedicated pediatric hospital in our Valley. As these five women moved forward with their vision of creating a "hospital for children only," so emerged the idea of a guild system. In 1955, Kings Guild joined the Guilds of Valley Children's Hospital and invite you to support Kings as they fundraise for Valley Children's Hospital. 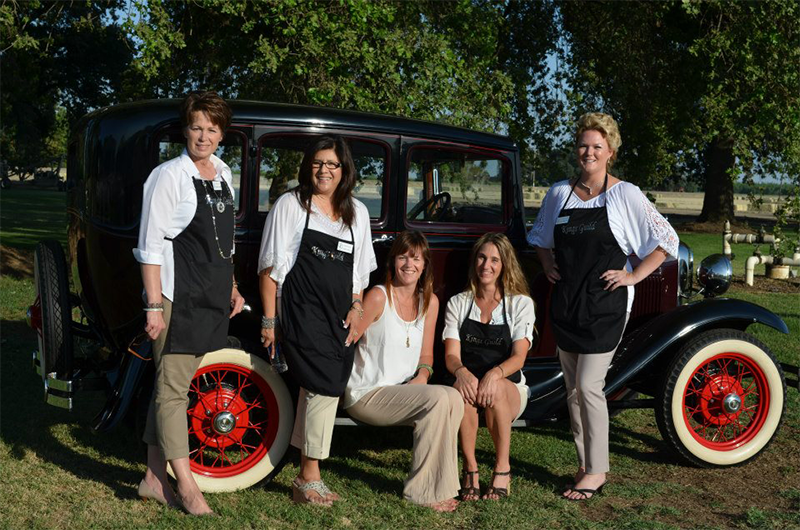 Every year in May, Kings Guild host a fabulous gala at Roy Fialho's Family hanger in Lemoore, California, serving the most amazing homemade hors d'oeuvres and dinner. Along with dinner, funds are raised at their incredible live and silent auctions. This year the event theme is "Miami Nights" and will be held on Saturday, May 19th at 6:30pm. Please visit Kings Guild online at thekingsguild.com for more information. Kings Guild includes members from Hanford, Lemoore and Stratford (Kings County) and they invite you to join them as a member or guest. $4 Million Goal - When you support Kings Guild, you are supporting expert care at its best! The Guilds of Valley Children's recently completed its $5 million goal towards the establishment of The Guilds Child Abuse Prevention & Treatment Endowment. Our new funding goal is $4 million towards: The Guilds Heart Center Endowment ($2 million); The Guilds Child Life Endowment ($1 million; and The Guilds Spiritual Support Endowment. Because of you, the best is possible. Because of you patients and their families receive help and healing right here in our community. Your support helps keep expert pediatric medical treatment available to our neighbors and friends. Because of you incredible care is delivered around the clock, every day, all year. Your partnership with the Guilds of Valley Children's enables us to bring hope and healing in tens of thousands of tangible ways.